From the 1st July 2017 Keith be offering a new and interesting Nocturnal Wildlife Experience. Using state of the art Thermal and Night Vision equipment he will take (max of 2 persons) out into the countryside, at night, on foot, to look for wildlife. You will each have your own thermal device for walk, no sharing of equipment. For more information contact Keith on 07769 182058. 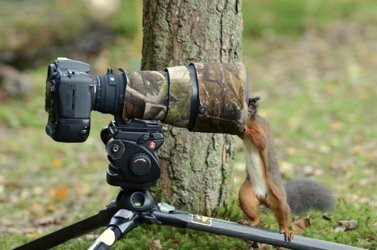 He is also offering his services as a wildlife guide should you need one when visiting the area. He is also an excellent speaker and gives many talks to clubs and other user groups. Keith Kirk is primarily a Wildlife and Natural History Photographer/Writer living and working in the Stewartry area of Dumfries and Galloway. Although he does undertake many other projects and commissions covering all types of photography. His day job was Countryside Ranger with Dumfries and Galloway Council Ranger Service, something he did for over 37 years. Now in semi-retirement he still pursues his passion for the countryside which he shares with you on this web site. All images are copyright and must not be downloaded or used with out his prior permission. To do so is against the law. Feel free to contact him for advice and any picture enquiries through the contact page.